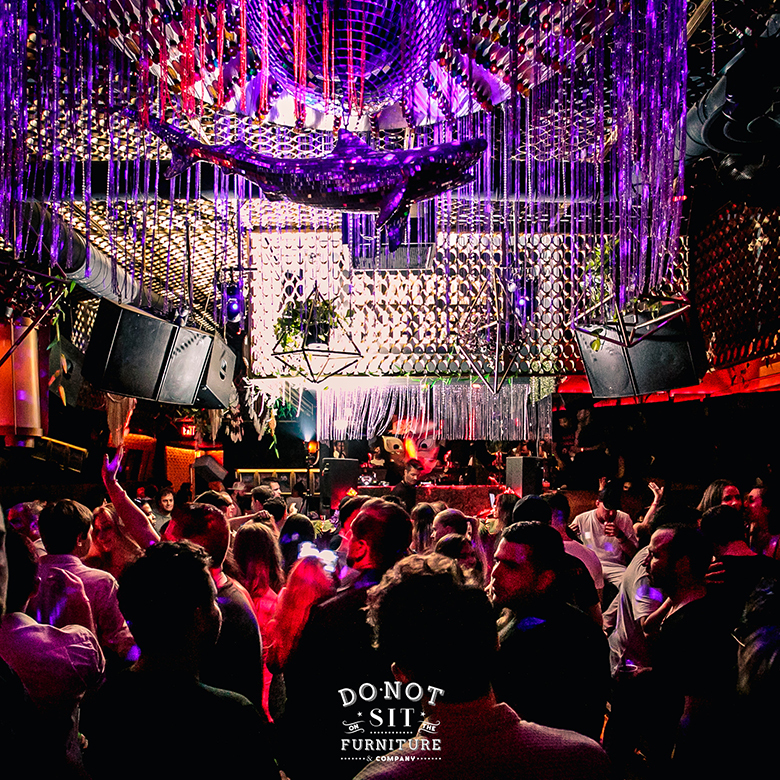 Do Not Sit On The Furniture is the perfect, intimate environment for your private or corporate event. We are known, primarily, as a unique, award-winning nightclub, but our facility has the versatility to serve your individual needs. We have the benefit of both indoor and outdoor spaces to entertain your guests. The interior exudes class, with décor imagined by fine designers. The courtyard is spacious, with room to gather all of your guests. Inside, we have a state-of-the-art sound system with definition, richness and clarity, that put most nightclub sound systems to shame. We have interior, programable lighting and a fog machine, to add color, movement and excitement to the atmosphere. We, also, have external lighting, to brighten the mood in the evening, and later hours in the courtyard. We have bars to serve your guests, both inside and outside. Our staff is polished, professional and attentive. We are ready to serve your guests with our signature hospitality. We either employ or have access to the most-talented management, bartenders, DJ's, servers, security, door staff, photographers, videographers, musicians, graphic artists, sound engineers, designers, entertainers, etc. You name it, and we will pair you with the best to meet your personal needs. We are committed to making your event one to be remembered – from start to finish - for its excellence in every detail.